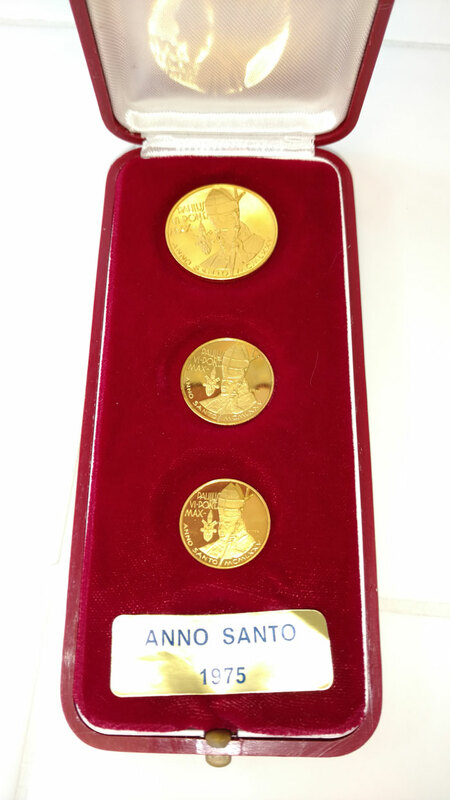 Gold medal for the Holy Year of 1975 in 3 different sizes, the largest at 26.4mm across. Gold of 750/1000 fineness, total weight of 17.5 grams. Obverse: Pope Paul VI holding the pastoral staff, or papal ferula. Reverse: The Holy Door. Brilliant uncirculated condition in original case.